Rooftop systems again accounted for most of the PV installed in Germany in January. Germany’s Federal Network Agency, the Bundesnetzagentur, has reported 578.9 MW of new PV systems were registered in January, marking a significant increase from December, when new additions totaled 376.5 MW. The main reason for the January increase is thought to have been a planned FIT reduction for PV projects ranging from 40 kW to 750 kW in size, stipulated by legislation introduced at the start of this month. The Bundesnetzagentur also reported that of January’s new additions, only 52.3 MW came from ground-mounted PV. Among that large-scale solar, around 23.3 MW came from projects with a capacity of up to 750 kW. Up to that scale, ground-mounted systems can be built without tenders. According to the agency, rooftop PV accounted for around 502.9 MW of January’s new capacity. 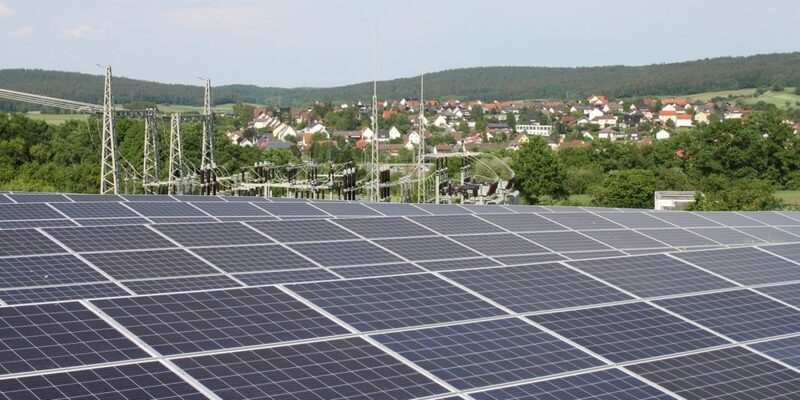 The agency said 76 new plants with an installed capacity of just under 1.46 MW were registered for the first month of the year under Germany’s tenant electricity scheme, which provides incentives for tenants wishing to sell PV power to landlords who live nearby. The Bundesnetzagentur added, since the scheme was introduced in 2017, 434 projects with a capacity of almost 9.47 MW have now been grid connected. The cumulative capacity of all subsidized PV systems in Germany reached 46.5 GW at the end of January. Tomorrow, tariffs for PV systems unaffected by special FIT reductions will fall 1%. The FIT for rooftop systems of up to 10 kW capacity will be €0.1123/kWh and the payment for installations with a capacity of up to 40 kW will be €0.1092/kWh. Systems with a capacity of 40-100 kW will receive €0.0899/kWh from tomorrow – in a special reduction. The payment for projects with a 40-750 kW capacity will be €0.0939/kWh. For other systems up to 100 kW in size there is a fixed FIT of €0.0776/kWh.